Recently, I took on more writing projects than my husband thought I should take. Ask any writer and they'll tell you "When opportunities come up, you say yes." I'm normally a hard worker, so I thought I'd just knuckle down and get these extra projects done. Gardening: Forget for a moment that it is November. I wanted to weed the garden outside my office window. I'd been meaning to do it since August. Had to be done, I swear. And while we were at it, I had my husband take out two huge rose bush stumps and our dead Japanese maple. Cost to me? Lost pages and a trip to In-And-Out Burger to appease Mr. Curtis. Cleaning: Normally, Mr. Curtis cleans the floors. I became obsessed with clean floors during the month of November. He'd leave for work and I'd get out the vacuum. Cost to me: Lag to the start of my day. DIY Projects: Some long-time readers of this blog might remember that in July of 2014, Mr. Curtis put in new bathroom floors in our guest bathroom. Tiling went well, but we painted the wall too dark of a color. Since July 2014, we'd been discussing: do you tile the bathroom wall by the shower or put in beadboard? A week ago, we put in beadboard. Cost to me: Lost pages and a trip to In-And-Out Burger for the big guy. So the deadline is met. The holiday season is upon us and I bet you've got some extra deadlines, extra parties, over-commitment to help here, there and everywhere. Are you on track? Or are you rebelling inside and doing something that could slide to the bottom of your list for awhile? Happy Holidays! And don't forget to sign up for our mailing list while you're out here by entering your email in the sidebar to the right. Melinda Curtis is an award-winning USA Today bestselling author. 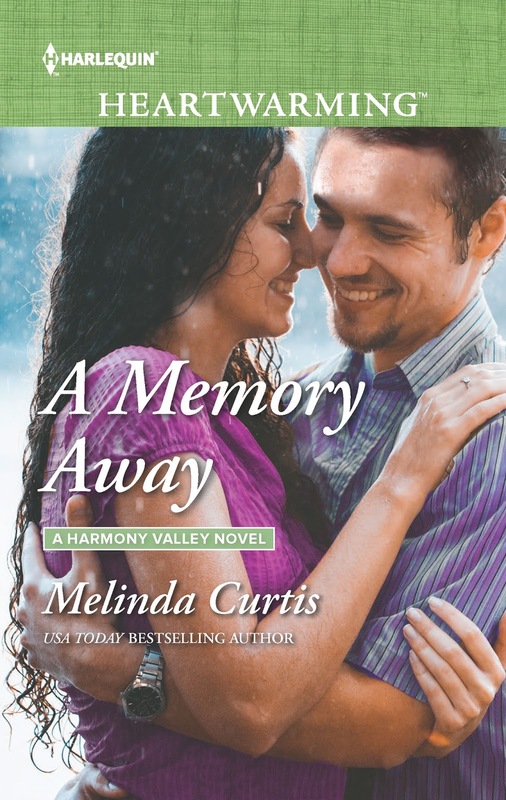 Her current release - A Memory Away - is a romantic comedy released by Harlequin Heartwarming. Not on track at all. I am behind this year, but when my daughter gets home from college for break, I will have her help me get caught up. Mel, you are my hero but... I would never ever clean the floor, or weed dead plants. You see I am allergic to some chores. LOL Today I procrastinated but for a good cause. Instead of writing my last two chapters, I got out the Christmas decorations and decorate my apartment. It's so pretty now I am in a good mood and can write. On track with my writing. Life and other important things - not so much. I am behind also. but I am a good procrastinator. I am a reader and have finally been able to do some reading.